Treaties are global game changers. Our working group and global experts on sexual violence and gender equality in 128 countries have studied recommendations from the United Nations, the World Health Organization, and scholarly research on how to solve the problem of violence against women and girls and found that a treaty has the power to address an issue of this magnitude. But currently, no legally binding instrument at the global level exists to hold nations accountable for preventing and addressing violence against women and girls. The tools that are in place, such as the 1993 UN Declaration on the Elimination of Violence against Women and the General Recommendations to the 1979 women’s equality treaty (the Convention on the Elimination of all Forms of Discrimination Against Women, or CEDAW), have brought the issue into the global conversation and made addressing violence against women urgent and necessary. The next step is ending it with a global treaty. 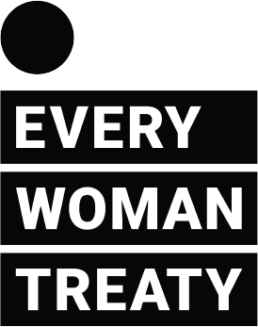 Unlike declarations and recommendations, the Every Woman Treaty will create a legal mandate requiring nations to enact the strategies we know work—five tested and proven interventions. It will generate the enormous political will that gets nations to act, and will catalyze an increase in funding, bringing more resources for all to prevent violence against women and girls. Other global treaties have worked to change the game. Remember when airplanes had smoking sections and a night out meant inhaling cigarette fumes? Smoking was so deeply embedded in the global culture that change seemed impossible. Then the Tobacco Treaty passed. It brought the dangers of smoking into the international spotlight, leading to sea change in the global norm: My right to smoke became My right to breathe clean air. Today, smoking bans in public places have drastically reduced exposure to harmful fumes. Similarly, after the Mine Ban Treaty was passed, governments destroyed stockpiles and cleared landmines from millions of acres of fields, saving countless lives in multiple nations. We can do the same for women and girls. With a global treaty to end violence against women, we can change the current system of silence into one of accountability and protection. 2. Training and accountability. For police, judges, nurses and doctors, and other professionals, which lead to increased prosecution of perpetrators and better treatment for survivors. 4. Services for survivors. Hotlines, shelters, legal advice, and other services ensure survivors receive treatment and protection, and have avenues for seeking justice. 5. Fund it. Treaties catalyze funding. In the first 36 hours of the Mine Ban Treaty, nations pledged US$500 million toward implementation. 3 The Every Woman Treaty fund aims for US$4 billion annually, or 1 dollar per female on earth. This concerted effort transforms governments’ spotty implementation of interventions into a comprehensive, effective approach proven to increase women’s protection and safety. We can end violence against women. Join us. Together, let’s make history. I stand for a life free from all forms of violence for every woman and girl, everywhere. I hereby join the call for a global treaty to eradicate violence against women and girls. *By signing you will be added to our mailing list. You can choose to opt out from the signature confirmation email. Thank you! And welcome to the global movement for a treaty! Please share and ask 3 friends or family members to join you, in honor of the 1 in 3 women who experience violence worldwide. Together, let’s make history.